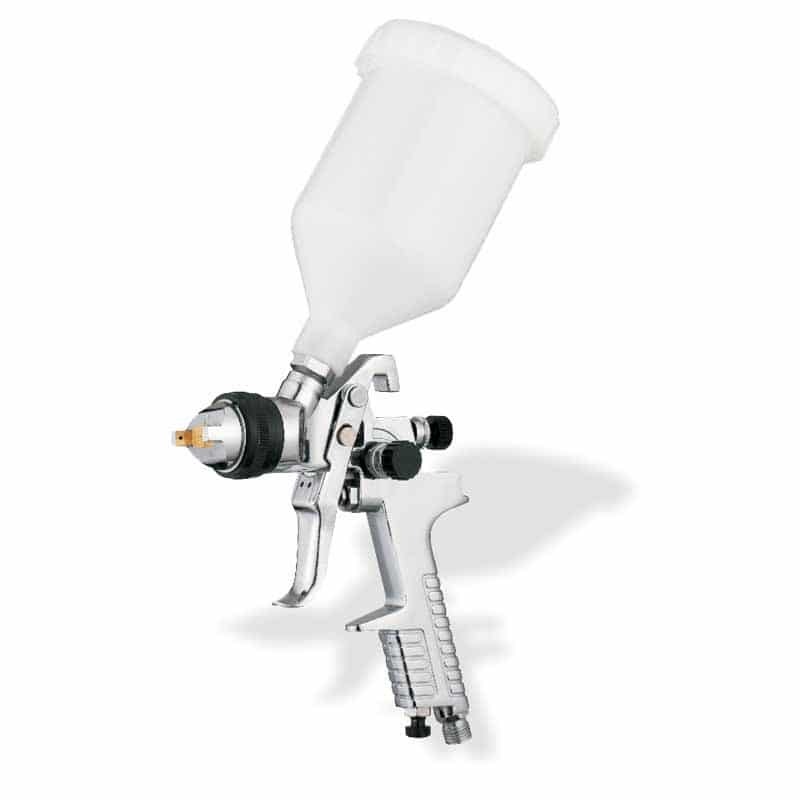 This spray gun is used for furniture, cars, and other high quality coating projects. A separate air regulator is available. The stainless steel needle and nozzle accommodate a variety of coatings. It has a brass air cap with adjustable knob and includes adjustable fluid, pattern and air controls. This tool is designed to provide equal atomization and particle size for all kinds of surface painting. It is lightweight with an ergonomic design and easy trigger pivot to reduce operating fatigue. The stainless steel needle and nozzle accommodate a variety of coatings.